It has been a wild ride this past year for patients trying to get approved for medical marijuana in Florida. New legislation was implemented, allowing qualified patients access to cannabis as medicine, under the care of a state-certified medical marijuana doctor. It sounds easy enough, and with 30 other states already leading the way with legal marijuana, it should have been easy. But, there were problems from the start, which affected patients waiting for approval. Now, with a full year of medical marijuana laws and industry behind us, Florida has solved most of the problems and streamlined the approval process. In fact, newly elected Gov. Ron Desantis has committed to make major changes to the medical marijuana system and legislation in the Sunshine State. Up until now, only MMJ oils were allowed, but now (2019), cannabis flower will be sold in Florida dispensary locations statewide. How to Qualify for Medical Marijuana in Florida? Patients who are dealing with other conditions may also qualify if a state-certified medical marijuana doctor feels the health benefits outweigh the risks. Once you confirm you’re qualified based on your condition, you will need to see a state-certified medical cannabis doctor to get a recommendation for marijuana. How to Choose the Right Doctor? In Florida, any medical doctor in good standing with the Department of Health can become certified to recommend cannabis to qualified patients. In 2018, over 1,600 physicians became certified, and they are from all sorts of medical backgrounds. The best way to find a doctor to help your specific healthcare needs is to search within the specific field you want. In other words, if you are diagnosed with chronic pain, it may be wise to find a pain management doctor who is also an MMJ doctor and will understand your specific needs. Networks like the medical marijuana doctors in Jacksonville, list physicians with many different specialties. They also offer different plans to fit your needs financially, and provide options to help make the process affordable. You can find doctors who specialize in alternative treatments for epilepsy, Parkinson’s, pain, Crohn’s and anxiety, all in one place. After you find a doctor and schedule an appointment, it’s time to gather all your medical records together because you will need them at the doctor’s office. You will need to bring a state-issued ID and any other supporting documents confirming a diagnosis for whatever condition you want cannabis to treat. At your initial appointment, your doctor will customize a marijuana treatment plan to fit your needs and apply to the Office of Medical Marijuana Use on your behalf. The OMMU is the government agency charged with approving patients, doctors and dispensaries for their medical marijuana certifications. Within about a week, your application will be approved if you paid the yearly registration fee and proved that you’re a Florida resident. The entire process is initiated automatically once you see a doctor, and you will get a temporary approval initially. The physical MMJ card comes in the mail within 4-6 weeks. After you receive either a temporary approval or your physical MMJ card, you’re ready to buy cannabis products from approved dispensaries in Florida. There are currently 14 dispensaries that can have up to 25 storefront locations. That gives Florida patients 350 total dispensaries from which to choose. Currently, just about every major city has a dispensary nearby, and many more planned in the coming years. When you call or visit a dispensary near you, they will verify you’re approved and in compliance with the OMMU by your patient number, photo ID, or medical marijuana card. The top dispensaries in Florida are Trulieve, Knox-Medical, Curaleaf, Surterra, Grow Healthy and Liberty Health Sciences. Which Medical Marijuana Products are Available in 2019? Up until recently, the approved medical marijuana products allowed in Florida were oil based. Now that new legislation is planned for 2019, cannabis flower will be legal and available for patients to buy soon. 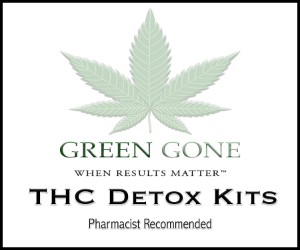 Presently, patients can choose from many products like THC vape pens, tincture oils, topicals, patches, lotions, and concentrates, in addition to CBD oil in Florida. With a pro medical marijuana swing in public opinion, and Florida voters demanding changes, the future looks bright in Florida. The new Governor already committed to changes that represent the “will of the voters” who originally passed Amendment 2, back in November 2017. If that holds true, we may get the ability to grow our own cannabis plants, have better access to medical marijuana cards, marijuana flower and reforms that ultimately benefits patients. Stay tuned for an interesting year of changes for Florida in 2019!